The Nexus 4 is the latest Google smartphone. It is THE BEST ANDROID PHONE out there currently. Right out the box it carries Android 4.2 (Jelly Bean) with a whole host of features that your current Android device does not have. Therefore this needs to be tried out right now by everyone who is locked in a contract, just to see what you are missing out on. 4.7 inch screen, 1280×768 pixels, Gorilla Glass 2, 139 grams, 9.1 mm thick. This device is pretty much sold out at most stores. So go ahead and rent this out and see what you have been missing. It is available at www.gizmotakeout.com for a special introductory rate of 29.99$. I think it would be fair for readers to ask what the **** does the title mean? I mean what could the similarities be between the recently concluded VP debates and shopping for a seven-inch tablet? This actually struck me as I was multitasking watching the debate while working on my blog about the various seven-inch tablets and how I could help simplify the choices ? It is significant given that Apple is scheduled to release its own seven-inch game changer. So without further ado let’s go in. Mostly everyone in the middle agrees the debate was a draw, really two opposing positions, with no common ground. Same with the seven-inch tablets. 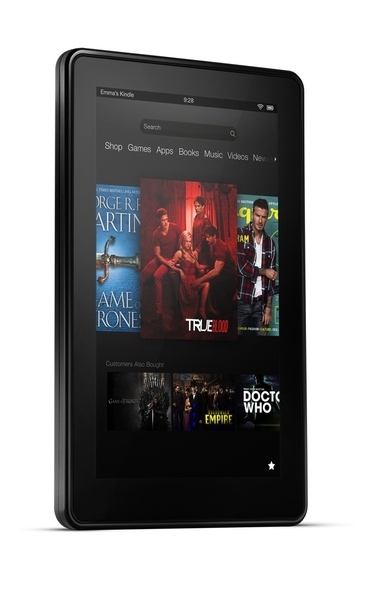 If you are part of Amazon Prime, the Kindle Fire HD makes most sense for you. If, like me, you like physical Barnes and Noble Stores and reading E-books in them for FREE, then the Nook tablet is for you. Both keep you enclosed in their own ecosystems. If freedom is your cup of tea then the Nexus 7 Android tablet is the one for you. The Google Play store has both the Amazon and Nook store apps and all your content can be accessed from there. The Apple Mini iPad (or whatever name it will have) will be a no brainer really and you can’t go wrong. Hopefully they will have better mapping software and no camera since they got both of it wrong with the iPhone5. Our recommendation remains to try it out inexpensively through us and see what works for you. Then, spend your hard-earned money purchasing one. A cheaper Android tablet is what most people need. The oft-repeated fear of the future. Both candidates insisted that the future the other person offers is scarier than the future they offer. Sadly the same applies when you go tablet shopping. The platform you choose will lock you in the future to being loyal to that platform even if the pace of innovation is slower in that platform. The Android platform has evolved enormously recently with several newer features, however it requires you being a little more tech savvy. The Kindle, Nook and Apple simplify things in their own ecosystem. We recommend trying out various tablets before settling. Else beware of the future. Foreign policy disagreements. The best hedge for opposing foreign policy statements, the Apple iPad. If anything might work it is this. The Androids are next. The Nook or Kindle may ignite hostilities as they may not work. The deficit issue: One believes in more government spending, the other believes in cutting back and letting customers spend. In tablet land, Amazon and Nook tablets are sold pretty much at cost relying on a steady stream of purchases down the line to justify the cost. The Apples of the land want you to spend big bucks upfront, and then eat what you want only.